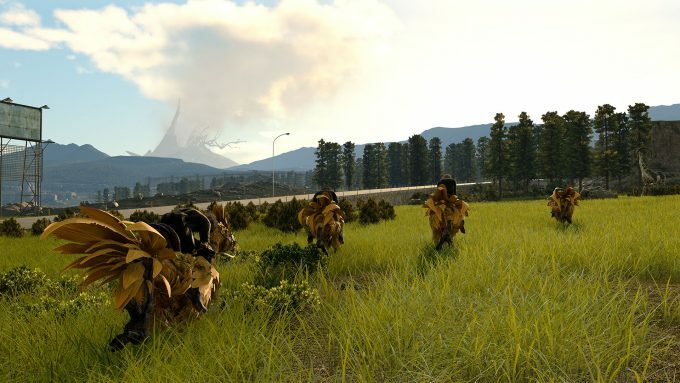 Late last week, Square Enix released a Final Fantasy XV benchmarking tool, and for many reasons, fans had reason to be excited. FFXV isn’t just going to be the best-looking FF game on PC, it could become one of the most visually stunning games, ever. HDR can help with that, along with a gluttonous helping of NVIDIA tech. 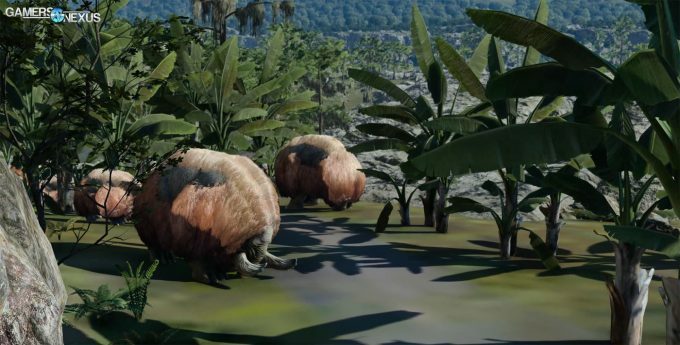 In FFXV, NVIDIA’s GameWorks brings realistic grass through Turf Effects, and improves player shadows with Hybrid Frostum Traced Shadow tech, ambient occlusion with the help of voxels, liquid with NVIDIA Flow, and to really round the package out, HairWorks support is included, too. As for GeForce Experience features, the screenshot tool Ansel will be supported, along with ShadowPlay Highlights. Don’t quote me, but I want to wager that FFXV has the most robust suite of NVIDIA features ever packed into a game, so if you’re an NVIDIA user, you have lots of reason to be happy. Unfortunately, though, everyone has a reason to be suspect of initial performance reports. Our friends at Gamers Nexus wasted no time jumping on this benchmark, which allowed them to likewise quickly spot issues. Steve found that FFXV‘s benchmark will render GameWorks content even though the objects could be 10,000 feet away. The below example is one where you see these gentle objects up close. Why this is a problem is that while not for nothing (when you can actually see it), enabling GameWorks features will snag some GPU resources that would be otherwise used to increase the frame rate. If a buffalo can barely be seen, for example, most players are not going to want to sacrifice any of their performance for it. There are multiple issues that tie into this main one. The buffalo, or whatever animal it is, is constantly rendered, even though it’s never appreciated by the viewer. 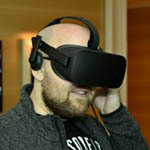 There’s also an issue with GameWorks features taking an obvious toll on performance, but not warranting it with detectable improved visual fidelity. In the real game, that could change, but in this benchmark, there are obvious issues. I’m just touching the basics here, so I’d recommend hitting up the full Gamers Nexus article above to dig deeper. There’s no suggestion being made that any of this is done on purpose. There may be some oddball and perhaps conspiracy-fueling decisions made, but ultimately, it seems more like the benchmark was designed in a very half-arsed way. And with benchmarks, you should be in, or out. Accuracy matters.